9) What’s It Mean? Distortion?? 10) What Does It Mean: Scope and Flat? Let’s do this again. We will go through a term that everybody uses but which has a different meaning depending on who you talk to. Which meaning do we care about? The meaning that will correctly get an idea across to the Tech Team. We must describe a problem so it can solved quickly and well. Distortion – For our purpose, distortion is the term that describes the imperfect recreation of the original sound of the motion picture. 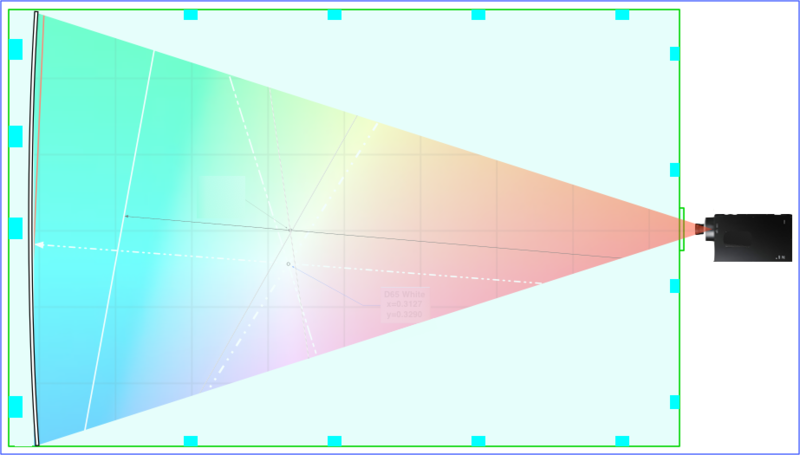 There are other definitions and uses, including the use with picture details such as ‘brightness and contrast problems’ or ‘focus problems’ or different kinds of color and screen problems. Sound problems can be detailed too – for example, ‘too loud!’. Or perhaps, ‘too soft from one set of speakers’ or ‘too soft for one set of frequencies’, like the ‘bass being too low’. Another thing that happens is ‘a rattle that occurs when a loud noise happens onscreen’. For many odd sounds we can just say, “It is distorted on the left, front and side”, and let the tech figure the details. Here is a sample of 3 bell sounds. The 2nd is purposely made jagged, and the 3rd imitates a blanket on the bell. Most people would call the 2nd one distorted, and the 3rd one muted. Another difference between sound distortion and picture distortion is that we generally know what a face or pair of shoes should look. 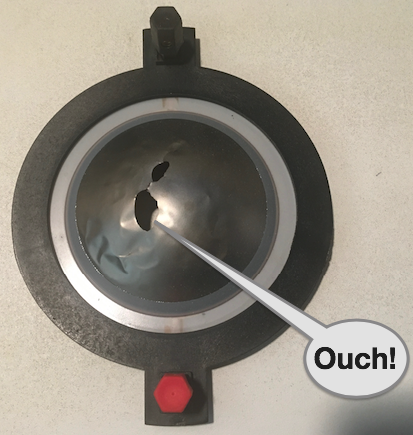 But we don’t know how the warp plasma-drive should sound when it is having problems, or how rich an orchestra is supposed to sound in the side speakers – maybe they are not supposed to be in the side speakers at all! …or maybe they should be lower on one side and not play at all on the other side. When we listen to a movie, we really don’t have a way to know if something is being played back correctly. Maybe the director wanted the sound to be “dark” or “jagged”. We in the cinema were not there for the recording or post production mix. But generally we can presume that gross cracking and ugly sounds are not right. This is the reason that we use a Digital Cinema Package – a DCP – that we are familiar with. When we play it, we are testing the complete system. That gives us a clue. Other research tells us that around 80 or 85% of the dialog comes from the center (C) speaker. The rest is mixed in the center plus left front (LF) or the center plus right front (RF) speakers. So, what do we know? These two pieces of data say that, 1) if the dialog doesn’t sound natural or, 2) if it is coming from one of the side surround channels, that something is probably wrong – and should be reported. What does it mean, ‘natural’? That is a great question and the answer is amazingly simple and amazingly complex. Movie sound has an incredible range from soft to very loud. Screaming and whispering should sound like screaming and whispering…and normal voice shouldn’t be too loud. The complexity comes from the music and effects – if the sound mixer does it well, they can separate the sounds so the voices come through even with explosions going off. Or, they may want the voice to be jumbled in the explosion…who knows? The other complexity is that human languages are incredibly complex. There are some parts of words that you can throw away and no one notices. But there are some sounds that, if they go missing, the word doesn’t sound like a word – or maybe it could be one of 20 words. Some people think that the director and mixer have heard the words so many times during the production that they don’t realize that there are words that we won’t understand in the theater. Again…who knows? The problem is that this makes it hard to tell the technician that something is wrong with the sound system. Let’s look at the sound system. In the theater, the screen hides the speakers, and the amplifiers are hidden in a rack somewhere. The only things that the audience sees is the boxes that contain the side and rear speakers. There is usually more than one speaker in each of those speaker cabinets. Plus there is cable going from the amplifier to the speaker. What else is there? That is what we will study in Part Two of the Distortion Discussion. 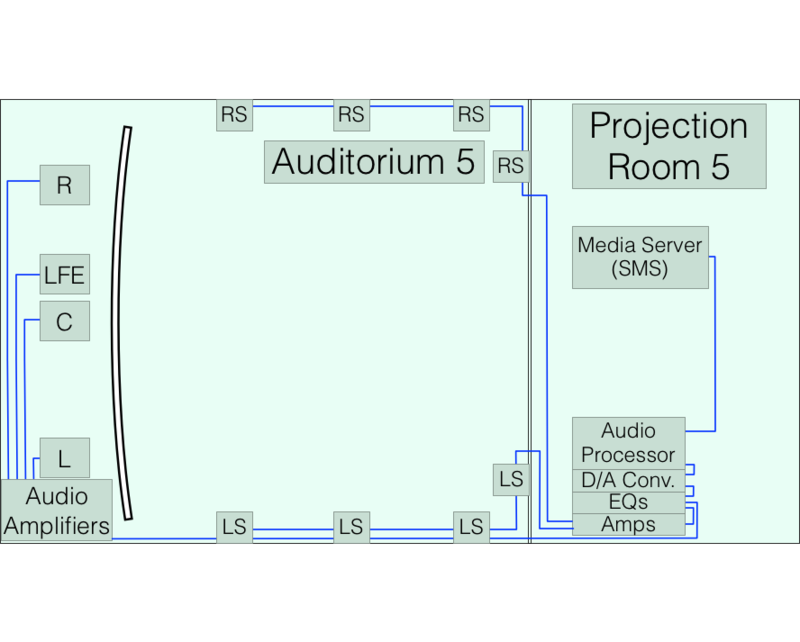 The Manager's Walk Through Checklist – A tool for non-technical people to help describe their observations about the state of the audio and picture quality in your every auditorium. Get your observations to the tech group in an accurate and concise way...have fun~! Never underestimate their intelligence, always underestimate their knowledge.